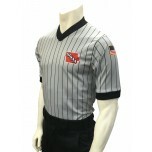 Iowa high school wrestling referees, your shirts are available to purchase here. Shirt looks and fits great. Received shirt in 4 days. Keep up quick and great service.